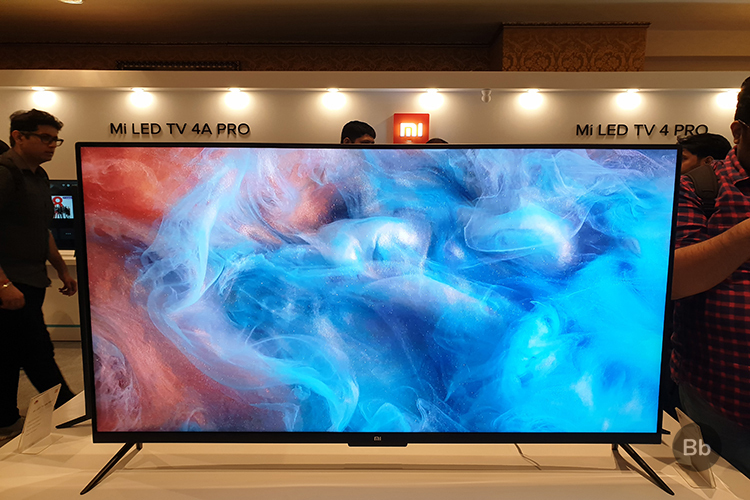 Xiaomi took the wraps off its new Mi TV Pro series, which includes the 32-inch Mi TV 4C Pro, 49-inch Mi TV 4A Pro, and the ultra-thin 55-inch Mi TV 4 Pro, at the much-hyped ‘Smarter Living’ launch event in Bengaluru. They made their debut alongside the Mi Air Purifier 2S, Mi Band 3, and more. Not a whole lot has changed on the design and hardware front for all the Mi TVs launched yesterday but there are a few differences. 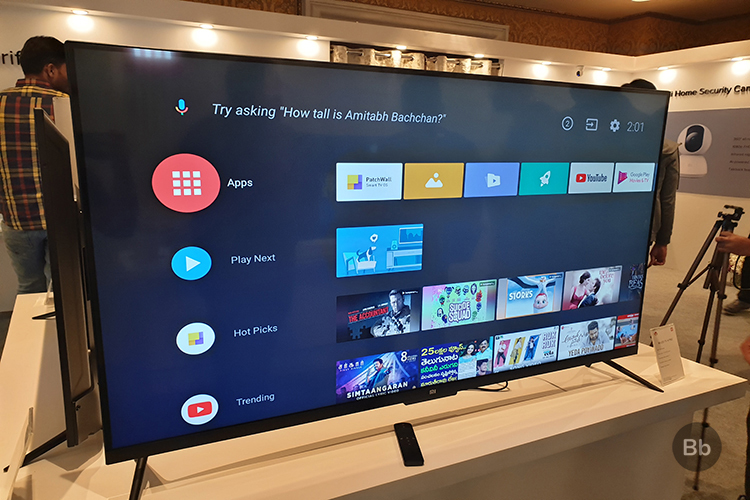 Starting off with the biggest and baddest, the 55-inch Mi TV 4 Pro (Rs 49,999) still sports the sleek 4.9mm ultra-thin body that houses the bezel-less 4K panel with HDR support. The 32-inch Mi TV 4A has snagged an upgrade in the form of Mi TV 4C Pro (Rs. 14,999), with the same 32-inch screen whereas the 49-inch Mi TV 4A Pro (Rs. 29,999) has come to fill the gap between other existing TVs in the lineup. The color reproduction of the HD-Ready Mi TV 4C Pro might not be as good as the Full-HD panel on the Mi TV 4A Pro, but it’s decent enough for the price point. The new Mi TVs are powered by the latest quad-core Amlogic processor, with the new seventh-generation imaging technology in tow. The RAM and internal storage for all these models vary slightly but it wasn’t noticeable in the performance in my brief time with all the models during the event. 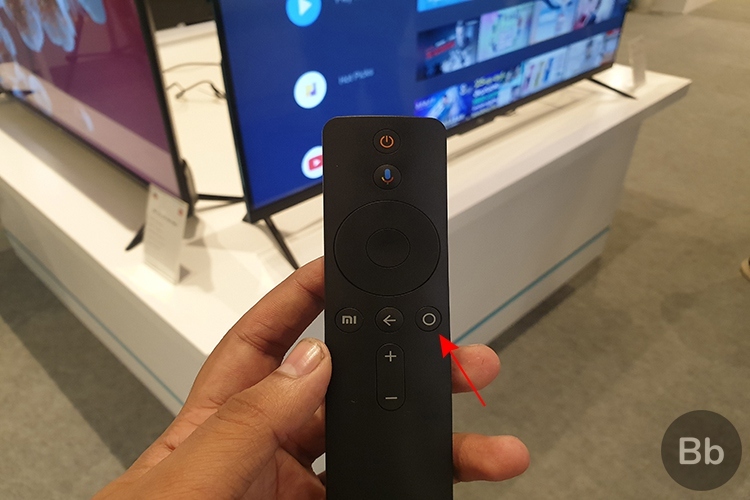 The new Pro variants of the Mi TV now comes with a 12-button Bluetooth remote (which is still very minimalistic and we like it) that you can point anywhere to change channels or speak out commands. It’s not dependent on an IR blaster. 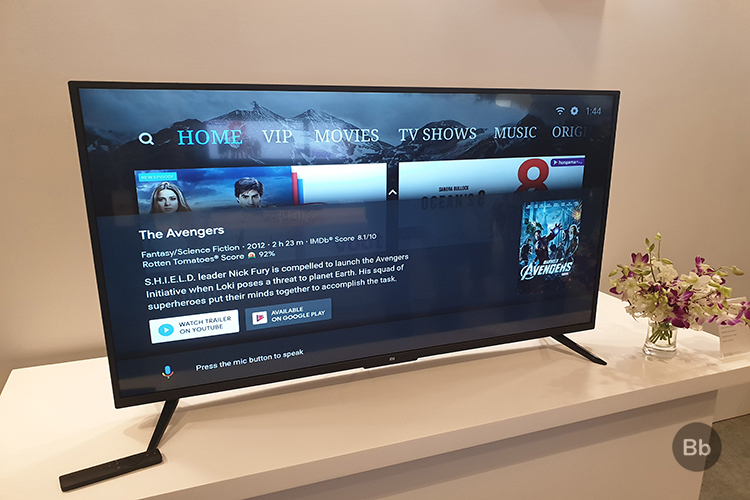 The menu button on the right has been replaced with a new button that you can now tap to switch to your stock Android TV launcher (indicated below). The twelfth button, as you may have already guessed, is for Google Voice Search. 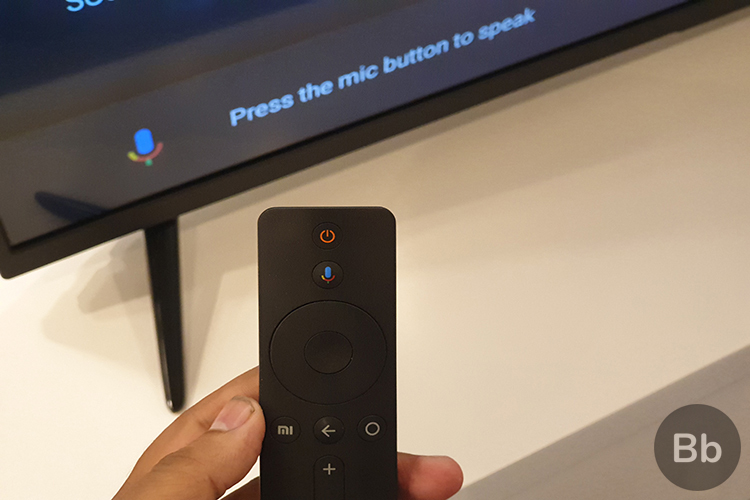 You can tap it and speak out your commands to the Mi TV 4C Pro, 4A Pro, and 4 Pro. It also allows you to control Xiaomi smart home devices, i.e Mi Air Purifiers, with your voice. 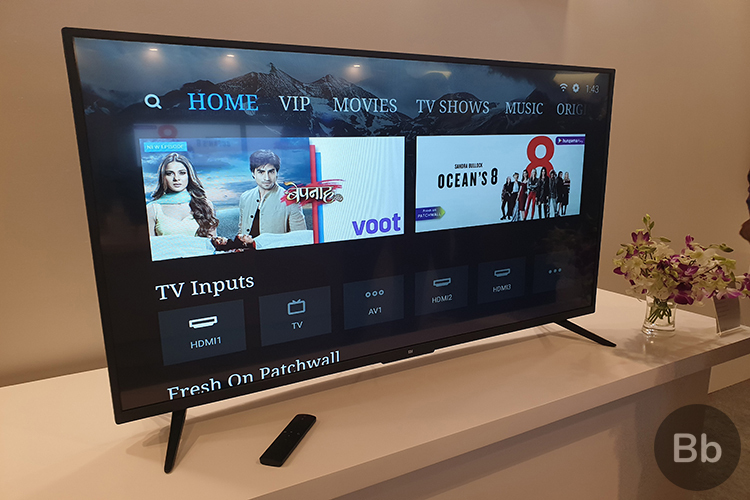 The new Mi TV Pro variants are now powered by Android TV which runs under Xiaomi’s skinned PatchWall UI. The voice search is powered by Xiaomi’s Xiao AI voice assistant in China, which only works in its home country. 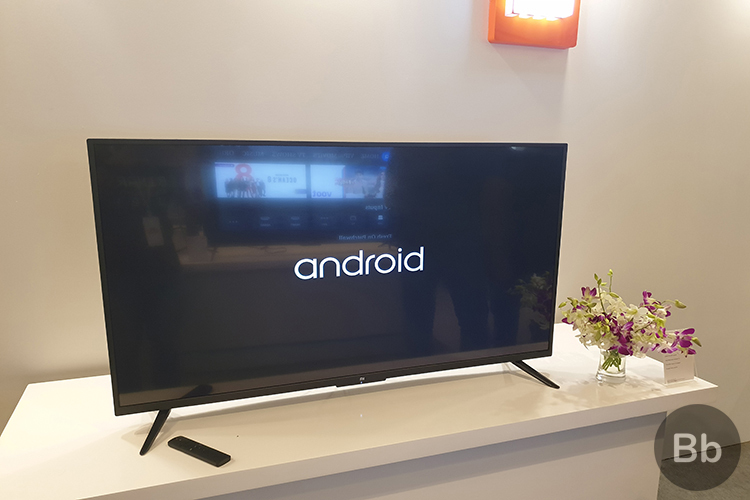 Android TV makes Xiaomi’s Mi TV Pro series attractive and more desirable, since it opens up a wide range of apps and games for the TV. While PatchWall is still great and integrates well with your streaming and cable services in one unified UI, I still found the lack of an expansive app store to be a major drawback in the last-gen models. Based on Android 8.1 Oreo, the Android TV interface takes about 20-25 seconds to boot, with PatchWall seen on top. But, you can jump into Settings and choose not use the PatchWall Launcher as your default – if you truly want to get rid of it. The stock Android TV launcher will take its place then. 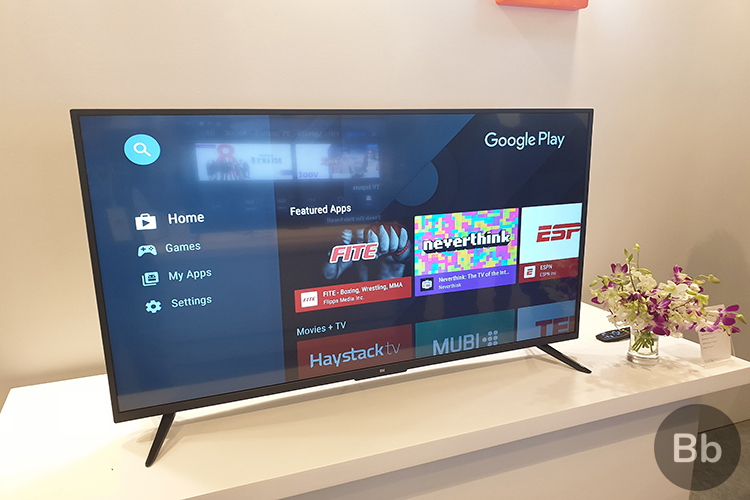 Thanks to Android TV, you now have the Google Play Store at your beck and call. I found this to be the most exciting development. I scrolled through the Play Store for a while and yes, you get access to a lot of new apps and services – 3600+ compatible right now. Another key highlight of the new Mi TV Pro lineup is that it includes support for Google Voice Search. Your new 12-button remote now has a ‘colorful microphone’ icon that you can tap and start spewing queries at Google. It listened to my demand to search and play Deadpool, Avengers or Sarabhai vs Sarabhai almost instantly, so that was awesome! 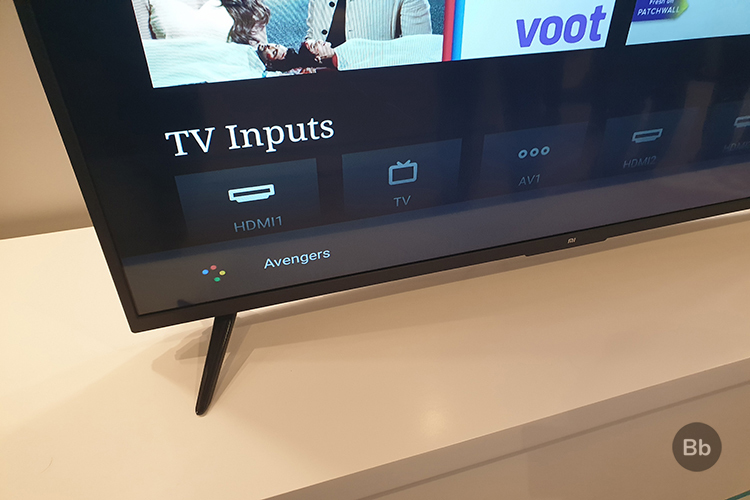 If you have become used to voice interactions, the voice search feature on the new Mi TVs could turn out be of great use for you, and removes the confusion out of using a remote. Finally, Xiaomi’s new Mi TV Pro series is expanding beyond Hungama, VOOT, and all other existing content partners to include Jio Cinema and Amazon Prime Video. It will not be available right out-of-the-box, but it’s coming in the next few weeks. You also Chromecast built-in, and wouldn’t need an external dongle to support the same – except if you plan to watch Netflix on these Mi TVs, as there’s still no native app support, which is a letdown! 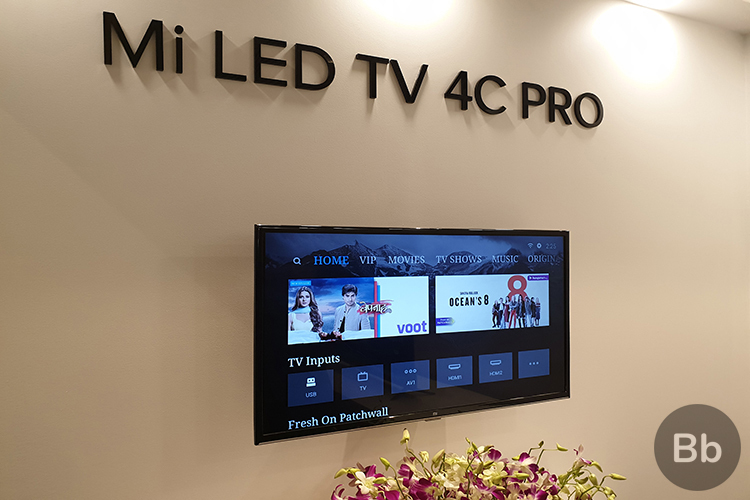 Mi TV 4 Pro Lineup: An Upgrade We Deserve! 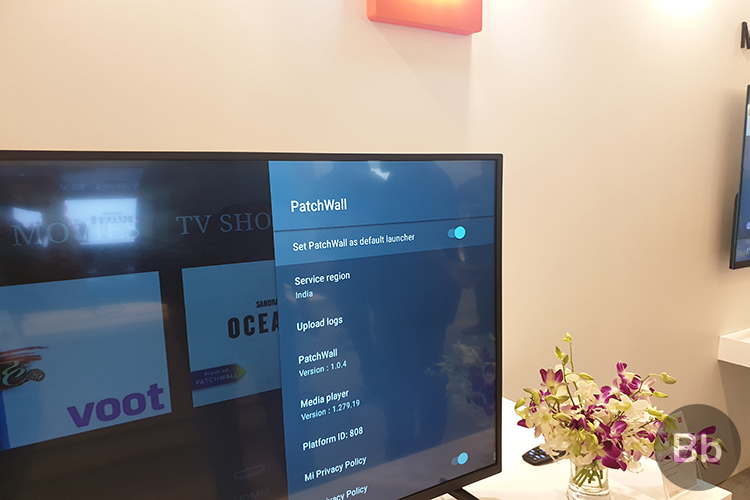 Xiaomi’s PatchWall OS still remains as good as ever, but one of Mi TV’s biggest deficiencies has been taken care of with Android TV. Xiaomi is looking to disrupt the TV market just as it did with smartphones, and it’s using Google’s help to get there, which is not a bad thing at all. It also shows the company’s commitment to reaching more users with an affordable and feature-rich offering. 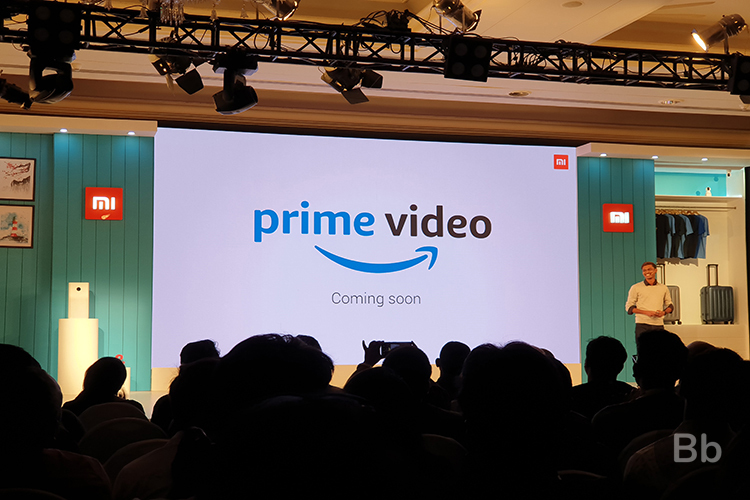 While Mi TV 4 Pro will go on sale on October 10 through Mi.com and Flipkart at 12 pm, the other two variants will become available a day early i.e on October 9 at 9 pm through Mi.com and Amazon India.